The current inexorable stock market rally has folks wondering where it will at least take a breather, if not put the breaks on. 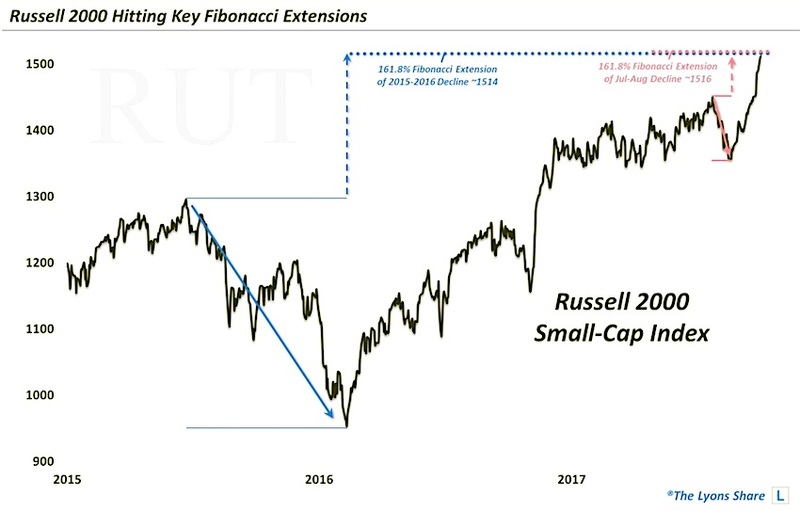 The small-cap segment of the market has been particularly relentless, with the Russell 2000 Index (INDEXRUSSELL:RUT) up 8 of the last 9 days, 15 of the last 19 and 24 of the last 31. Based on one piece of charting analysis, however, it is now reaching a level that may finally produce at least a pause in its breathless advance. We’ve discussed Fibonacci Extensions in the past on several occasions. As a refresher, these Extensions mark various magnitudes of potential price support or resistance following range breaks, based upon the Fibonacci mathematical sequence. The 161.8% is perhaps the most important Extension, based on the sequence. It signifies a move of 61.8% of the former range – out of the range. Here’s what it looks like on the chart. 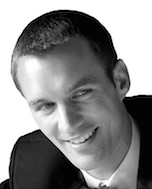 So, will the small-cap rally put on the brakes here? There is no guarantee that it will. However, this is as good a spot as any, in our view, for the Russell 2000 to at least take a temporary respite – particularly given the multiple levels aligned in the same vicinity. Do we think the rally is over? No – it just may be a bit extended in the near-term, though.